The Grunge Effects template for After Effects converts your video footage into a stylized collage of textures. The end result is an animated work of art with a grunge flavor. Watch the Demo Video for Grunge Effects. The Grunge Effects template for Adobe After Effects allows you to add a striking grunge look to your footage. The end-result is like an animated collage of textures – great for sports videos, music videos, or any video that needs an “edge”. 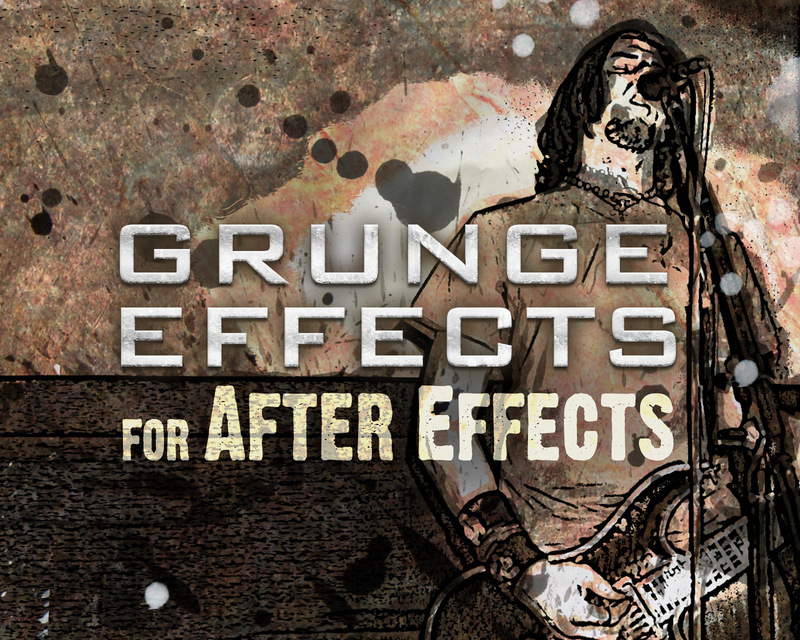 Included are 5 finished grunge effect presets, so you can just drop in your footage and render. Or, you can create endless more grunge effects using your own texture-photos.